Online Rakhi Delivery to UAE. Send Rakhi with Chocolates, sweets, dryfruits and gifts to UAE online. Online Rakhi Collection of Brother, Bhaiya Bhabhi & Kids Rakhis. 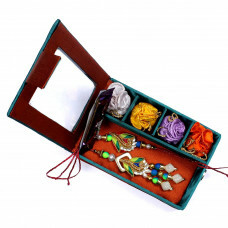 The website helps and enables people of Indian Origin to send rakhi to Dubai, UAE online. Online rakhi to Dubai, UAE can be sent using special links under the "Rakhi International" section. To send rakhi online to Dubai, UAE etc we request our users to keep at least 4-5 days in hand for delivery. Online rakhi delivery to Dubai, UAE involves International couriers such as DHL, ARAMEX, TNT, FEDEX etc which operate from New Delhi Hub for north INDIA consignments. This ads an additional one day for movement to Delhi. We facilitate sending rakhi online to Dubai, UAE from India. Mostly Indians located in India send online rakhi to Dubai, UAE from India. One can send rakhi in Dubai, UAE online or consider to buy rakhi online in Dubai, UAE from Dubai, UAE, India, Australia, Dubai, UAE, UAE, Dubai, Singapore using our website as internet has eroded all geographical boundaries. These Rakhis are smeared with affection and your love will surely bring a smile on your Bhaiya Bhabh..
Beautiful Couple Rakhi Set to make sure that your love will surely bring a smile on your Bhaiya Bhab..